I feel compelled to apologise for my lack of internet presence in the last couple of weeks although I am sure there aren’t many of you waiting on the edge of your seats for another post. This first few weeks at uni has been manic. Trying to force myself to read more than one page of a book at a time has been challenging to say the least! I am also finding it a little more hectic as I am living in a new flat, no longer in the student hub of Manchester and so seeing my friends has proved harder this year. 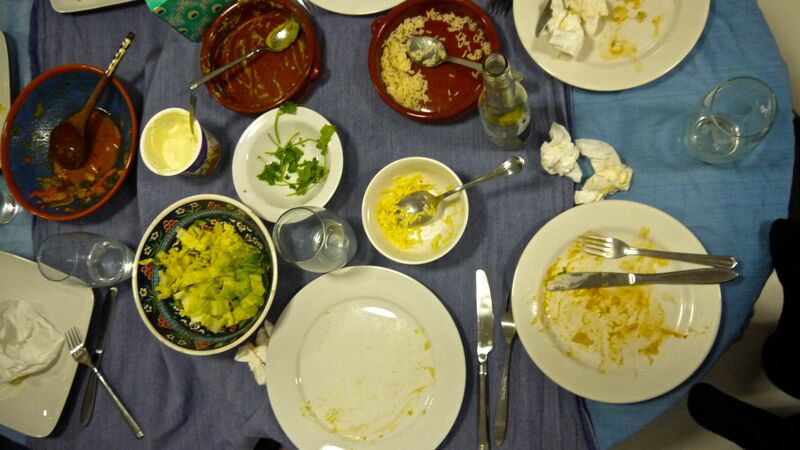 This is why I decided to set up a supper club to meet every few weeks, I cook the dinner and they pay me £3 each for the privilege of my company and cuisine. 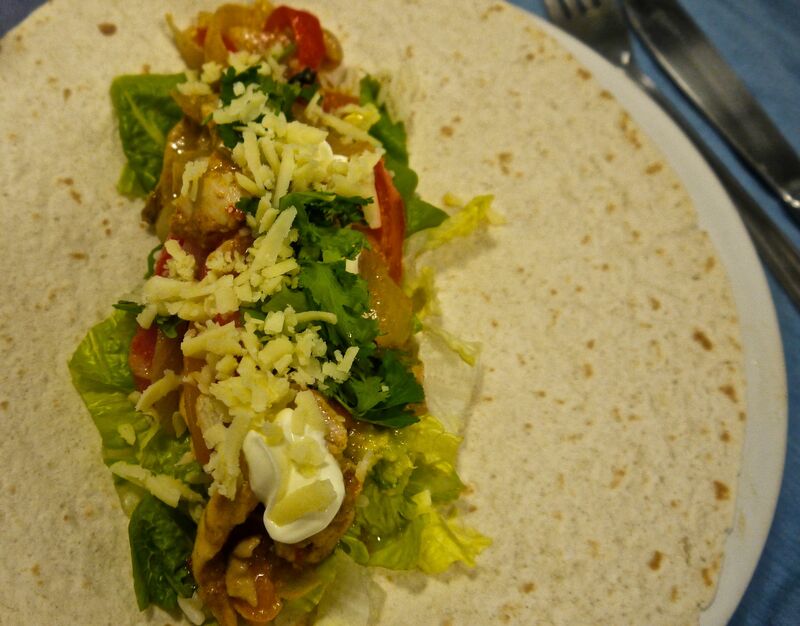 I wanted to start with something easy so I chose fajitas, a Mexican classic. 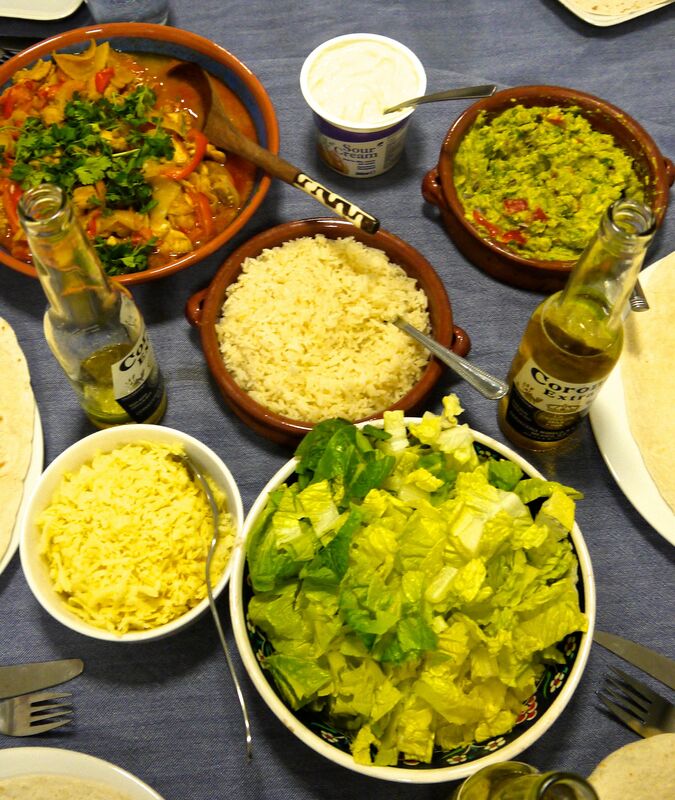 This is such a good meal for getting to know people, something about sharing out food and passing it around the table is just perfect for breaking the ice. I thought this meal could translate well for those of you who are new students or have moved into houses with new people and are having to cook for the first time. This is such an easy dish to make and its great way to get your housemates on side. For anyone having trouble meeting people or making new friends don’t stress, it will work itself out and, in the meantime, food remains the best way to people’s hearts so cook them a meal!